Uneven lies call for adjustments in your set up and swing. In this video I am discussing the effects and changes needed to successfully negotiate uphill and downhill lies. In general when faced with any kind of uneven lie, maintaining your balance is key. The more severe the lie, the more conservative I will be as far as how far I think I may hit the shot. 2018 is here! There is absolutely no reason to wait until Spring to start thinking about how you will improve your game for the upcoming golf season. Before you really know what to work on, I think it is smart to sit down and first evaluate your game from 2017. 1. How many rounds did you play this year? 2. Do you know where the practice tee is? Just kidding, how often did you practice? 3. What did you practice the most? Did you practice your weaknesses? 4. Which club do you hit the best and worst? 5. Have you been professionally fit for your clubs? 6. What did your typical bad shot look like? 7. Did you take any lessons this year? 8. How often did you visualize your shots? 9. How often did you stick with your pre-shot routine or do you have a routine? 10. Did you obtain your golf goals this year? 11. What clubs do you carry in your bag? 12. Do you have a club in your bag you just can't hit? 13. What was your lowest and highest score this year? 14. Do you stretch or perform golf specific exercises? 15. Did you try every tip you heard on The Golf Channel? In one practice session? 16. How many tournaments did you compete in this year? Did you win any? Now that you have answered these questions, you are ready to proceed. By the way, if you came to me for instruction, these are just a few questions I would want answers to as well. These answers help me lay out a game plan for your improvement. The quickest way to improve is to identify your weaknesses and then set goals and objectives which are obtainable and sensible. 1. Exercise and/or stretch daily. There are many great websites which provide golf specific exercises and stretches. I would focus on the exercises designed to strengthen your core. Walking is another great way to get outdoors and keep you fit as well. Obviously you should get physician approval before starting any exercise program. 2. Go to the putting green daily. Making putts is a habit that can be developed. 3. Commit to a pre-shot routine for each shot you hit (even on the practice tee). 4. Stick with a swing or grip change. It is so easy to go back to what was comfortable. 5. Love every club in your bag. There is no reason to carry a club which does not consistently perform. 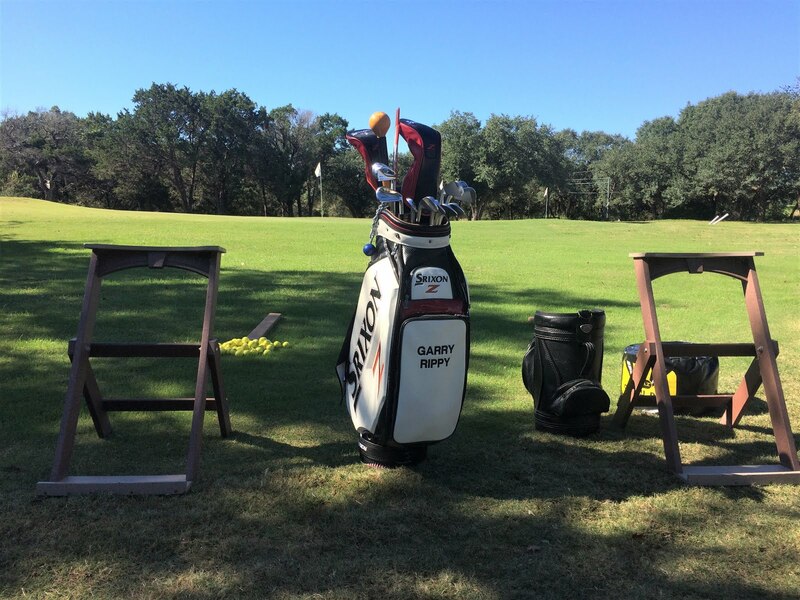 Getting professionally fit for your clubs is the first step in eliminating variables in your game. 6. Practice the short game more than the long game. Again, this is just a sample of generic, obtainable and sensible objectives. Whether you want to just have more fun on the course or you want to become more tournament tough for the upcoming year, your first step is to honestly evaluate the current state of your game and then design more personal objectives to match your desires. I have the experience to help you achieve your goals for 2018. Call or email me to review your answers and organize an instruction program which will be beneficial to your long term improvement. The following story was written by a former work associate (Kelly Amidon) at the TPC at The Woodlands. 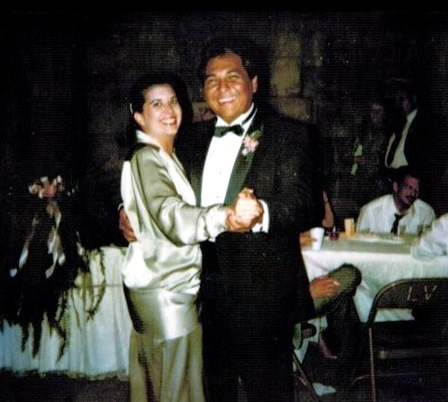 I came across his blog by accident recently and discovered this story about a long time friend, Rene Nino. After leaving The Woodlands in 2001, the years went by and I too lost touch with Rene. When I read the story, I became misty eyed and remembered the great times Rene and I had. We become close friends and I spent many evenings at his home enjoying Virginia's great cooking and his awesome music collection. He turned me on to some great smooth jazz and I love it to this day. 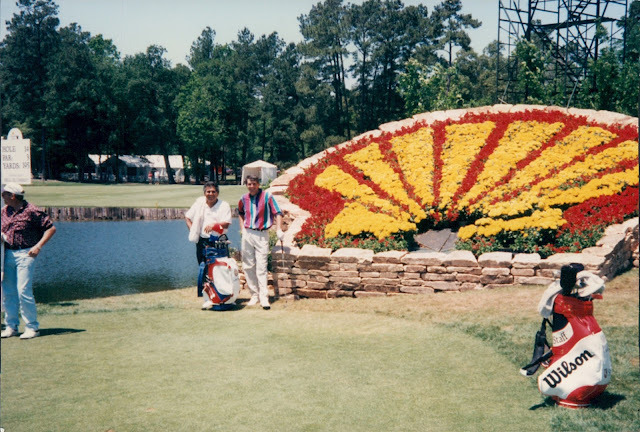 Below is a picture of Rene and I during the 1995 Shell Houston Open. Rene caddied for me in both the 1995 and 1999 SHO's which I qualified to play. I remember walking up the 18th fairway during the 1995 SHO and his fan club was quite large and vocal. I know he enjoyed the attention. Rene was well liked in the golf industry and I know he is missed. I too, wish I would have stayed in better touch with Rene. In May of 1991, I graduated from Stephen F. Austin State University in my hometown of Nacogdoches, TX and moved to the North Houston area to chase my dreams of becoming a professional golfer. At the time, the Tournament Players Course in The Woodlands was the home of the Shell Houston Open. The TPC course is amazing with an incredible practice facility. This is where I planned to spend my days working on my game until landing my first job as an assistant golf professional. My Dad, his wife, and three children lived in River Plantation, a country club community just North of The Woodlands. Given my limited funds and no job, they allowed me to live with them until I gained employment and transitioned into my own place. In a short period of time I found a job working as a bartender in the evenings at Panorama Country Club just North of my Dad’s home which left my days free to practice and play. Plus this job gave me access to a course to play for free. My early days in the Summer of 1991 were pretty care free. I was up early hitting the gym before heading down to the TPC to practice. One morning, a gentlemen walked up and introduced himself as Rene Nino’. He complimented me on my swing and ball striking and we struck up a conversation. Rene’ lived there in The Woodlands across the street from the 7th tee box of the TPC Course. 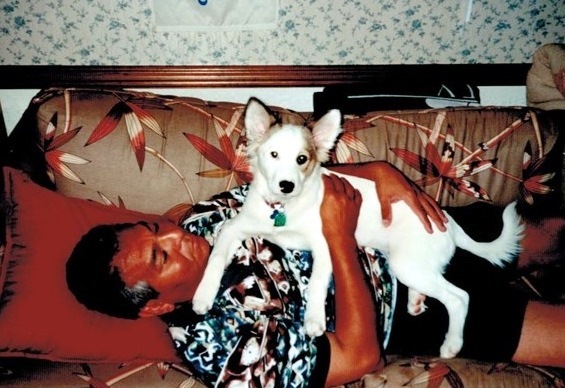 He worked from home with his wife Virginia along with their “4-legged” kids including dogs and cats. This was the start of what became a great friendship with our love for the game of golf as the common bond. Rene’s business included calling on golf course superintendents which offered a unique and valuable side benefit. 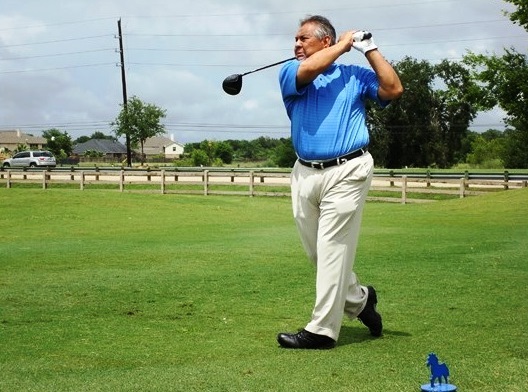 He was able to play golf weekly all over the Houston area in most cases for free or maybe for a simple cart fee. And while his game wasn’t bad, there was definitely room for improvement. That’s where our friendship blossomed because in exchange for me helping with his game, he would take me to play when our schedules matched up. In early August, my fortunes took a turn for the positive when the TPC’s head professional, Garry Rippy, asked me if I would like to go to work for him as an assistant in the golf shop. My goal in moving to Houston was to find a club professional job, join the PGA of America, and go through its professional development program. Garry was giving me the much-needed break to take the next step in following my dreams. Needless to say, my answer was a resounding YES! When I shared with Rene’, he was thrilled for me. The added benefit of working at the TPC Course would be the playing privileges for me and guests. While Rene’ played a lot golf and had a good relationship with the TPC’s Head Superintendent, it was one of the few places because of the prestige where he wasn’t able to play very often. With my new job, that problem was solved. 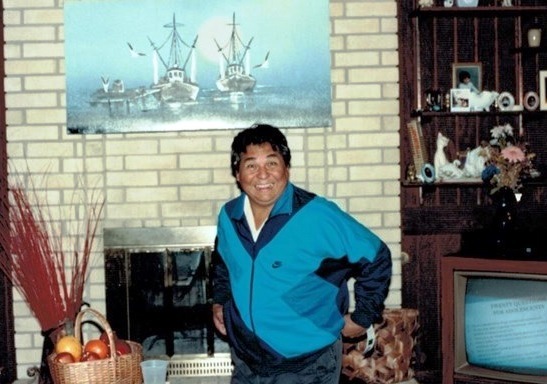 A short time later, Rene’ offered me the opportunity to come and live with him and his wife Virginia. He said since you work at the TPC, you might as well live down the street. 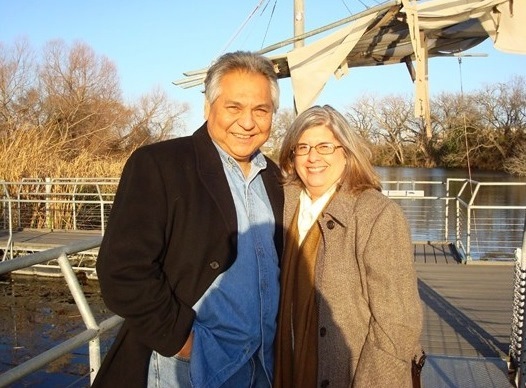 Rene’ and Virginia lived in a big two-story home with two guest bedrooms upstairs…and no children. It was a great deal for both us as he was able to play a lot more golf at the TPC, and my commute went from 30 minutes to 2. For the next two years, Rene’ and Virginia became like another set of parents. He would often join me in the early mornings at the gym before going our separate ways to work. We spent many hours talking golf, sports, and life. 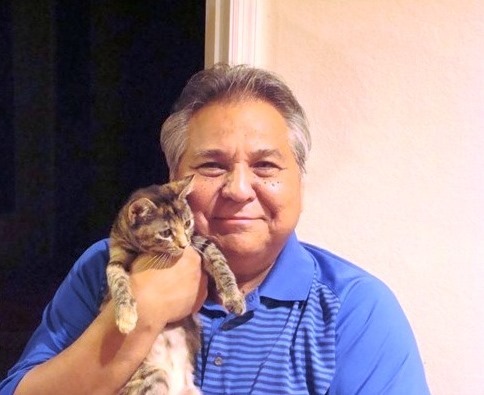 He poured into me his knowledge of sales, business, and general street smarts, and in return I helped him as much as possible with his golf and fitness. In the Fall of 1993, a position opened at Stonebriar C.C. in Frisco, TX. While my time in Houston was great, this was an opportunity for advancement as I progressed through the PGA’s apprenticeship program. It was a hard decision and ultimate move because I loved my time with Rene’ and Virginia and my job and home in The Woodlands. While we stayed in touch, it was never the same and I will forever cherish my time with them. Fast forward ten years and much had changed. I had left the golf business to go into sales and was recently engaged. My fiance’ lost her job due to the combination of the “Dot-Com” bust and the events of September 11, 2001. Our nation was hit hard financially and the contract furniture industry was hit particularly hard. I still had my job but with her recent loss, we were both up for a change. 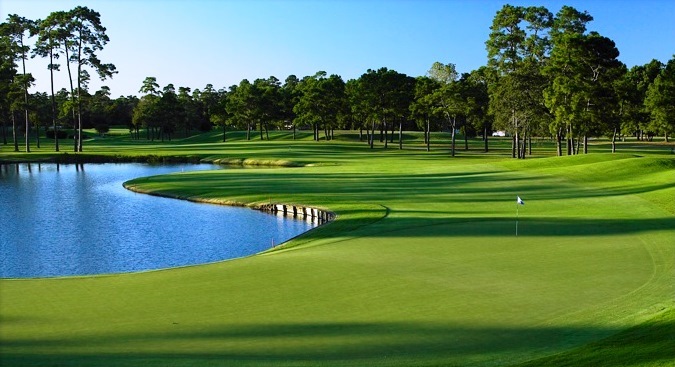 That’s when the phone call came regarding a Sales & Marketing Directors position at Cypresswood Golf Club in Spring, TX…just minutes from The Woodlands. My interview was a slam dunk and we signed a lease at an apartment the same day…just a few blocks from Rene’ and Virginia. I was on top of the world! To be back in the golf business in a sales capacity and to be reunited with my friends was incredible. Unfortunately it was not meant to be because my fiance’ was terribly homesick after about six months. We stayed through the balance of our one year lease and then moved back to North Dallas. With our wedding looming in the near future, leaving Rene’ and Virginia a second time made the whole experience bitter-sweet. 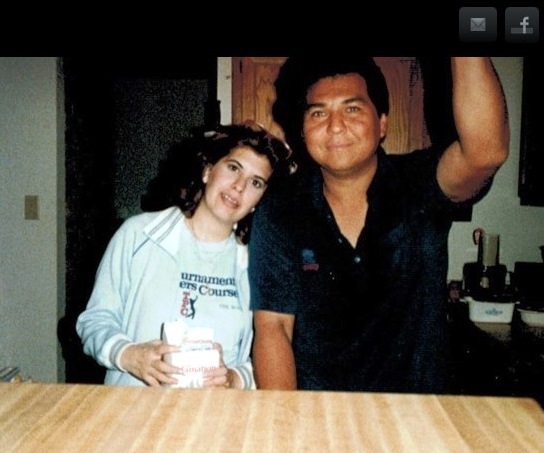 Like my fist move to Dallas, the distance took its toll on our friendship which was compounded with my responsibilities as a newly wed. We talked at length in 2005 after Hurricane Rita ripped through the Gulf Coast and up through Galveston into the greater Houston area. While thousands had to evacuate from the coastal areas, Rene’ and Virginia opted to stay home and survived with no damage to their home…despite the incredible winds and falling debris. As time passed, the phone calls became less frequent and the last time I can remember talking to Rene’ was the Summer of 2008. I was driving back from UT in Arlington from an appointment when we talked and its like it was yesterday. For the next six years, I prayed for them daily as they held a permanent spot on my prayer list, but life always seemed to get in the way of me picking up the phone or shooting an email…until December of 2014. Early last December, I pulled together my various contact lists and created one comprehensive names list to send Christmas cards to. While I sent a few physical cards to my immediate family, the rest received their card by email. I was consciously aware that Rene’ was included on my list but didn’t think much about it…until after I pressed “Send” and my phone range shortly afterwards with a Houston number. I naturally thought of Rene’ however his old cell was saved in my phone and this was a different number. When I answered, the voice was immediately recognizable even after so many years. Virginia was calling to explain that she received my email and I could tell by her voice that something was not right. She broke down in explaining that Rene’ has died earlier in the year in their bedroom from a sudden brain aneurysm. With the changes in my phone number since we last talked, she was unable to reach me. I felt sick and shocked to think Rene’ had been gone for nine months and I didn’t know. Soon after, I made a trip to see Virginia to reconnect and to pay my final respects to a man who was for a time like a second Dad. It was as emotional for me and Virginia as I expected it to be and yet I owed it to her and him for all they did for me. I still pray for her daily for peace that only God can grant given the loss of a spouse. And naturally I think of him with the expectation that someday we will see each other again in Heaven. If you have a strained relationship in your life that’s important to you, I encourage you to go and make it right. If you’ve lost touch with a one time best friend, I encourage you to reconnect while you still have time. Because, really…you don’t. I thought about reaching out to them so many times…and now that Rene’ is gone I can never make that phone call. If you have a call to make, do it now. You never know about tomorrow. Since my previous post has to do with syncing your golf swing, I am re-posting this article and video which will explain the drill in detail. My experience has shown me that a number of golf swing issues can be corrected just by getting your swing in sync. If the lower body gets too active, you could be headed for disaster. While you do want to engage the lower body, you want to do it responsibly. This is a great drill which is easy to perform and will provide amazing results. 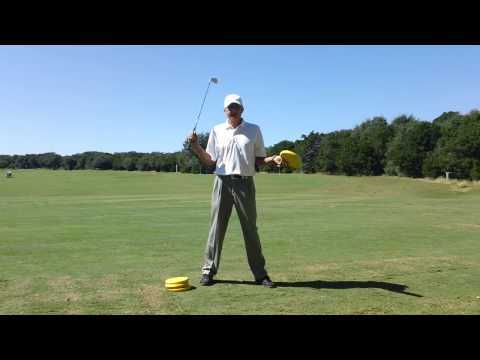 Below is a video of student Bob R. using two alignment rods to help improve his backswing. Bob was taking the club too much outside on his backswing and it was causing him to be too steep. His divots were deep and going left which was causing issues with his accuracy. To help him get on track, I placed a rod about 2 inches outside his golf ball and at about a 30 degree angle. I also placed a rod on the ground for alignment purposes. It is important that both rods are parallel and the student is aligned correctly. On his backswing he has to now take the club back slightly inside the rod by his ball or he will get tangled up. On the downswing, he also has to avoid the rod by coming down more from the inside. The result was Bob starting striking the ball much better and his accuracy really improved. In his next round, he shot one of his lowest scores in quite some time! Note of caution...always start with small swings when using alignment rods as to avoid inflicting injury. Alignment rods are very helpful during the instruction process and following student practice sessions. In these instruction sessions with student's Graham Marks (York College, NE) and Michael Gonzales (Lockhart High School) we used an alignment rod placed through the belt loops. Both students were sliding the lower body too much toward the target on the downswing thus leaving the hands way behind. By placing the alignment rod through the belt loops, they now have to focus on slowing the lower body down a bit so the arms can drop in front of them on the downswing. If the hips slide too much the arms will get caught behind the rod and they will lose a belt loop. We started with small swings to get the feel and then progressed to full swings. We also shortened the backswing just a bit and it helped keep the arms in front. Their accuracy improved immediately and didn't lose any distance at all. Note of caution: any time you are using alignment rods you want to start slow as to not inflict injury. You can Become a Better Putter! I use many tools to help my students improve their putting. I found this particular training aid about six months ago and I absolutely love it. It's the TPM (True Pendulum Motion) from IXIA Sports. The tool attaches to your putter and the two "arms" run on top of your forearms and under the arm pits. You grip it from underneath the adjustable arms and you are now locked it to great putting. It allows the stroke to be shoulder driven and the device will not allow the hands to take over. I find it really helps with improving your path, putter face and stroke rhythm. After using the tool for several minutes, you can remove it and it is amazing how you can still feel the same stroke. With a little practice you can replicate the same feel and you will putt better (I know because I use the tool weekly). This is my student Lee S. using the TPM. This is only one of several putts he made during the lesson. If you would like to improve your putting, let's set up a lesson and we will not only use this tool but the many others I use from Eyeline Golf, the number one training tools on the PGA TOUR. Great putting never gets old! The Power Sleeve from SKLZ.com is a weighted sleeve which attaches to your golf club with velcro. I love the Power Sleeve as it is heavy enough to feel the weight, but not so heavy you can't swing it efficiently. You can actually hit balls with the sleeve attached to the club and I find this very beneficial in developing your swing. Below is a video of my 12 year old student, Jessica Zhao, using the Power Sleeve. Notice how she gets the club "loaded" or "set" at the top of the swing. There is almost a slight pause at the top as the weight naturally allows her wrists to hinge. Prior to using the Power Sleeve she tended to release the club too early or cast the club from the top. Now her hands fall into place and the weight follows to a beautiful finish. Following are a few pictures of the key areas of improve in Jessica's golf swing. The left arm is comfortably extended and the wrists are perfectly hinged. There is also a nice shoulder turn at the top. On the downswing, she has retained the angle formed between her left arm and wrists. I would like to see a bit more leg drive at this point. There is a full release of energy as her right arm has extended through the impact zone. I use the Power Sleeve regularly and I recommend it to my students.